Hypothyroidism is a common disorder, particularly in women over 30-years-old. With hypothyroidism, either your thyroid is not manufacturing sufficient amounts of thyroid hormone or your body is not converting the hormones efficiently to support optimal health. Thyroid hormones have a profound impact on your body, affecting all organs and your overall metabolism. Hypothyroidism develops slowly over time, therefore many people mistakenly attribute the symptoms to the aging process. One of the key symptoms of hypothyroidism is fatigue. Although it is normal to have less energy and endurance as you get older, persistent fatigue with no obvious cause is not normal. If resting after being active does not restore your energy levels, and fatigue frequently occurs even without engaging in activity, it is possible that you have hypothyroidism. Another hallmark symptom of hypothyroidism is being unusually sensitive to cold. If you find yourself huddling under a sweater while your friends are wearing sleeveless shirts, it is very possible you have hypothyroidism. Lack of thyroid hormones causes your metabolism to slow down, meaning you generate less internal heat to keep you warm. Although it is normal for your body composition to shift as you age, individuals with hypothyroidism often gain significant amounts of weight that is difficult to lose even with dieting and exercise. 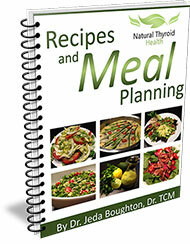 The slowing of your metabolism caused by hypothyroidism dramatically reduces your body’s caloric needs. If you are eating the same foods in the same proportions and your activity level has not changed, yet you continue to gain weight, it is very possible that you have hypothyroidism. The slowed metabolism caused by hypothyroidism affects all parts of your body, including your digestive tract. This can cause the muscles of your intestines to stop contracting as regularly and firmly, which slows the passage of food through your digestive tract. The result can be troubling and inexplicable constipation. Symptoms of hypothyroidism include a puffy face, pale complexion, dry skin and, dry and thinning hair. Most individuals simply attribute these symptoms to aging, and it is true that normal aging can cause these problems. However, if you are experiencing these symptoms earlier than normal, or in conjunction with other signs of hypothyroidism, it is very likely that they are due to the lack of supportive thyroid hormones that are necessary to trigger hair growth and the production of sebum (natural skin and hair oils). Many hypothyroidism sufferers find they have difficulty concentrating, have a poor memory, and have trouble thinking clearly (foggy headed). These problems are due to the drop in the rate of your brain’s metabolism. Younger women often attribute these symptoms to pre-menopause or menopause, and older women often blame it on aging. However, it is unusual to experience a sudden and severe drop in cognitive ability. If you experience these types of symptoms seek a medical diagnosis. Hypothyroidism is just one of the many causes of a decline in brain function. Although most women with hypothyroidism are peri- or post-menopausal, a significant number of younger women develop the condition. The sluggish metabolism due to lack of thyroid hormones is unable to support normal reproductive health. Affected women may have irregular periods, stop menstruating altogether, or sometimes have very heavy periods. These women are often unable to conceive or if they do conceive, are at high risk for a miscarriage. If you have any of the above symptoms, you may have hypothyroidism. 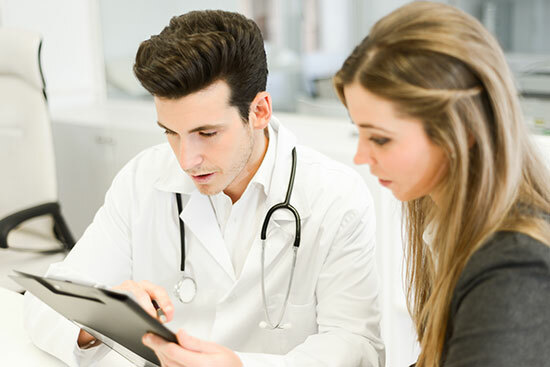 Seek an experienced Vancouver doctor who can assess your health and help get you on the road to recovery.